Britannia Parking NTK - Worth Appealing? The driver Parked in this pub car park, turns out BritPark took over few months ago with ANPR. Only thing the driver can spot, it was dark, signs are not illuminated. There is a P sign right hand side of entrance. The camera used to take these photos enhances the image, its much darker than that to the naked eye. 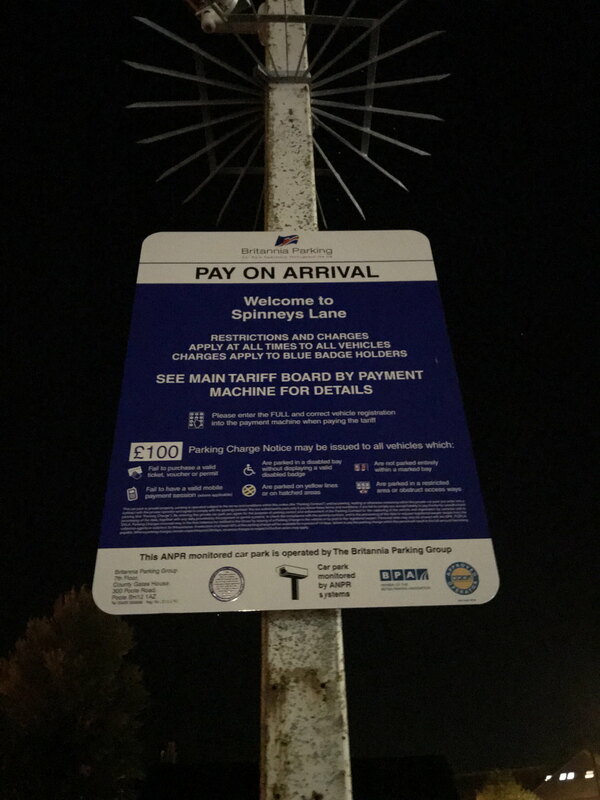 Top of letter states: PARKING CHARGE NOTICE - NOTICE TO KEEPER. EDIT your post to avoid identifying the driver. Refer only to 'the driver.' This is CRUCIAL. Thanks for the response and post updated. These conditions are not seemingly met, are they sufficient for defence and is there a template to appeal? 9(1)A notice which is to be relied on as a notice to keeper for the purposes of paragraph 6(1)(b) is given in accordance with this paragraph if the following requirements are met. What do you think, as having read POFA several times, the points mentioned above do not appear to be valid justification to appeal? YOu could just tell them their notice fails to meet the strict requirements of POFA, so they must either cancel the charge or contact the driver themselves. You could use your extract in post #5. Require them to either cancel or provide a POPLA code where you will arrange for them to be instructed to cancel. They will refuse your appeal, but a good, solid POPLA appeal should see them off. For clarity, does the PCN actually breach POFA guidelines, and if so can someone point our which section please? Or is it a case of, PCN is compliant, but appeal nevertheless, they might cancel? Just to be clear which category this falls into. You said yourself that it didn't comply with PoFA 2012 sched 4 para 9!!!! There will be many other failures as well. For your POPLA appeal, you need to go through PoFA with a fine tooth comb. 2 days to respond???? Where did you get that from? You have 28 days to appeal. You said it wasnt compliant - did you make that up? If you want to be specific, use "including, but not limited to, the following..." so you can easily add if you want and they cant whine and moan. More than happy to do the legwork, just asking for a second opinion. Reading the legal jargon I am not convinced the points quoted are valid. It's easier if you draft your initial appeal and post it here for critique. a) It's in your words. b) You get to understand what is being written. As I stated above, and your research on other threads would have confirmed, they will automatically refuse your first appeal so it's content is not crucial. However, if you have a strong point, which you have, include it. It may convince them that you bite! Is there a parking period? If No, then it isnt compliant. Time in front of cameras is NOT the time tthe vehicle was parked, from and to. 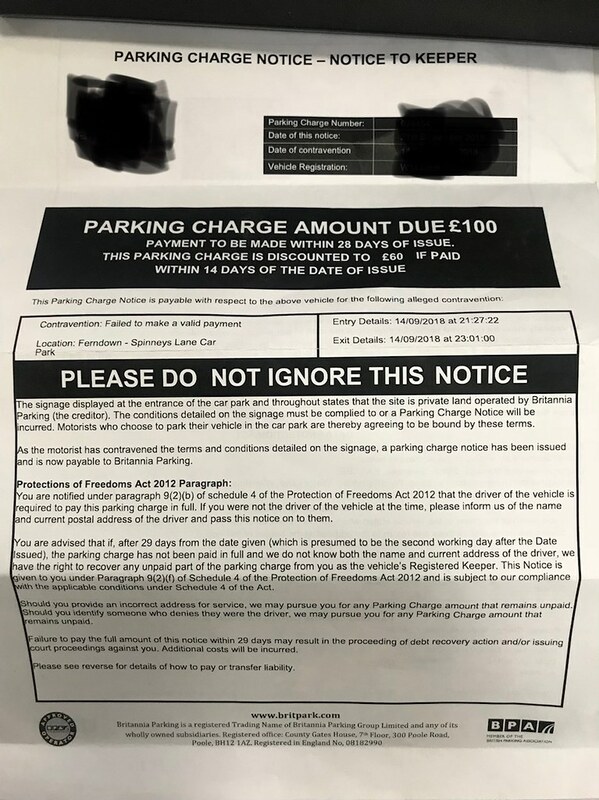 Got thrown by the term 'parking charge', initially took to mean the NTK must contain what it costs to park at alleged location, then thought it must be the £60 cost written on the NTK. But from your response, it is clearly the former......Didn't pickup on 'parking period' being relevant until you mentioned it. 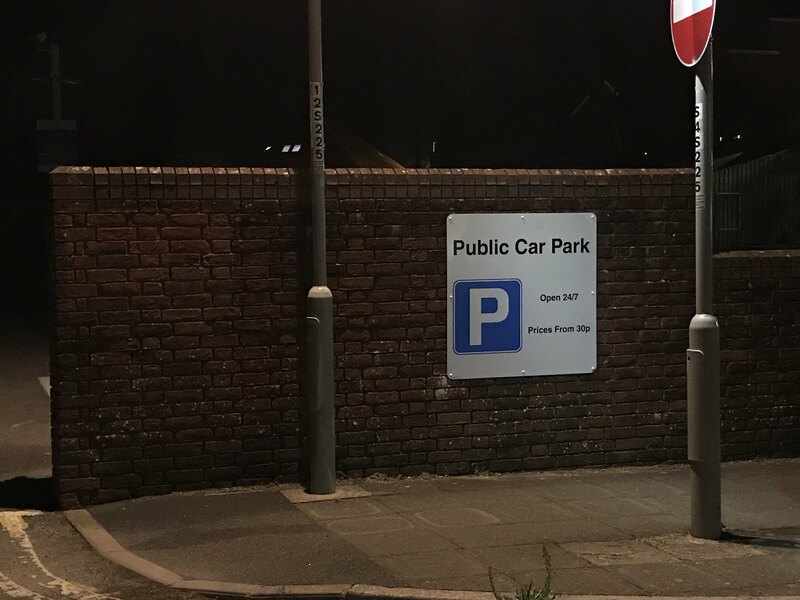 Yes there are two parking charges potentially - the PCN and any charge to actually park "normally" in a pay and display, for example. So for example, IF there is a pay per hour cost, then they have to state how much of this charge was left unpaid. Just jumping in as this thread is relevant to my own PCN. 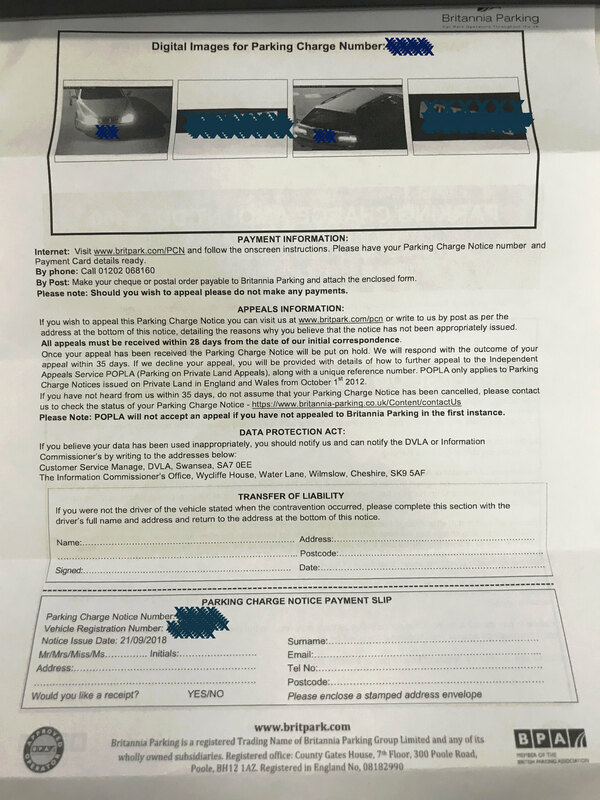 You say Jet3lon has a PCN that is not POFA compliant as it alleges 'failed to make valid payment' but no mention of 'parking period' and photos showing arrival and exit of car are not the same as being parked. My PCN says Contravention :parked longer than the maximum time permitted .Again photos of entry and exit . So does one argue to POPLA that entry and exit times are not parking times? DONT jump into other peoples threads.  It clutters THEIR discussion space with YOUR query, which odesnt help them at all. Dont do it again! - nothing allows them to interpret POFA2012 anytinhg other than strictly. there is no "substantively compliant" arugment that can be allowed by POPLA, as they have no authority to decide this, unlike a properly formed Tribunal. - parking period is clealry not the same as time passing a camera. This is acknowledged by POPLA and the BPA, by the existence of the grace period at the end of parking which is to allow the visitor to leave. As this cannot then be parking, POPLA is not permitted to consder it as such for the purpose of POFA. It was also confirmed in the courts that waiting to leave a car park is not parking. That this makes ANPR based regimes untenable for Keeper liability is not the concern of the motorist but the Operators business. It is also the Will of Parliament that ANPR is not to be used by local authorities for parking matters, and given POFA was drafted and introduced *after* councils were barred from using ANPR, you suggest this is their Will here. POPLA is not permitted to go against Parliament. I think I have done my research correctly and covered all areas and would appreciate any feedback before I hit the send button. 1. 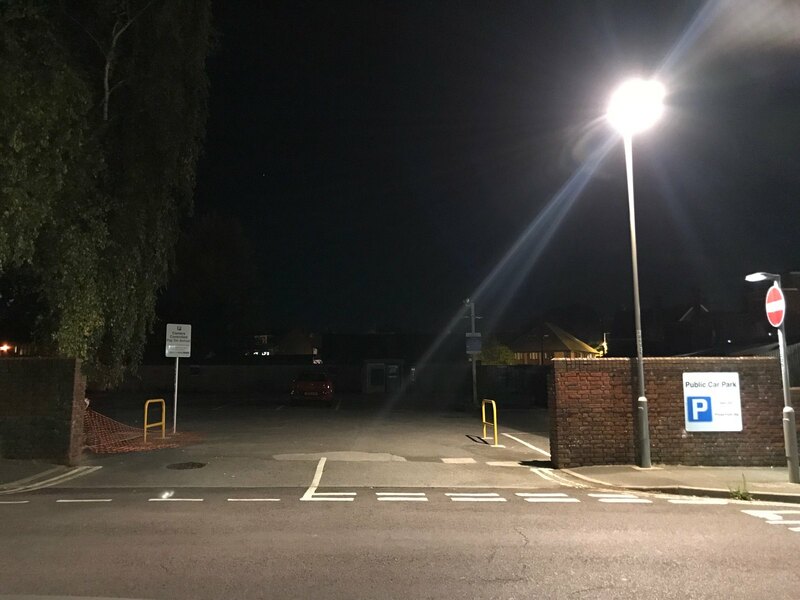 The British Parking Association make the following statement (20.5) The photographs must refer to and confirm the incident which you claim was unauthorised, a date and time stamp should be included on the photograph. •	As you can see from the PCN received, no date or time stamp was included on the photograph. 2. POFA 9.2(1) A notice which is to be relied on as a notice to keeper for the purposes of paragraph 6(1)(b) is given in accordance with this paragraph if the following requirements are met. (2)The notice must specify the vehicle, the relevant land on which it was parked and the period of parking to which the notice relates. 3. POFA 9. (2)(a) ……specify the relevant land on which it was parked. •	There are no visible signs on entry specifying the relevant land where the alleged contravention occurred. 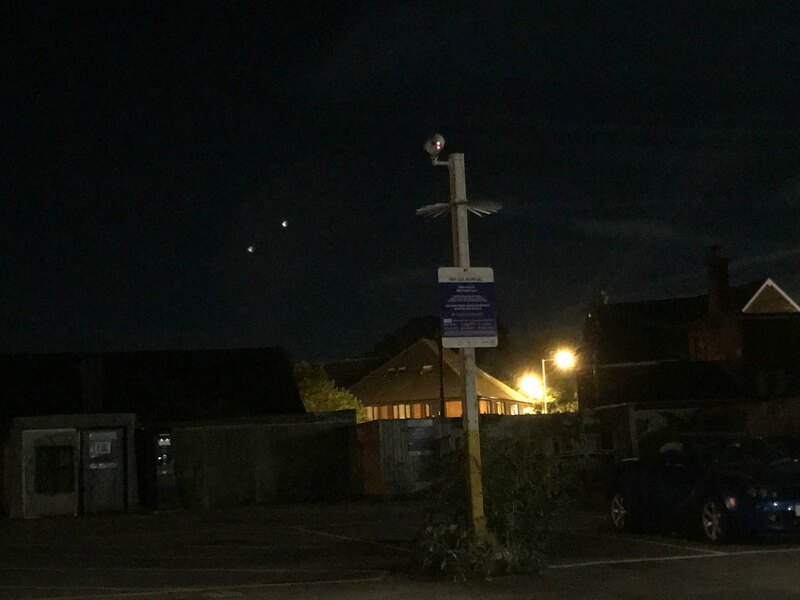 21.1	You may use ANPR camera technology to manage, control and enforce parking in private car parks, as long as you do this in a reasonable, consistent and transparent manner. 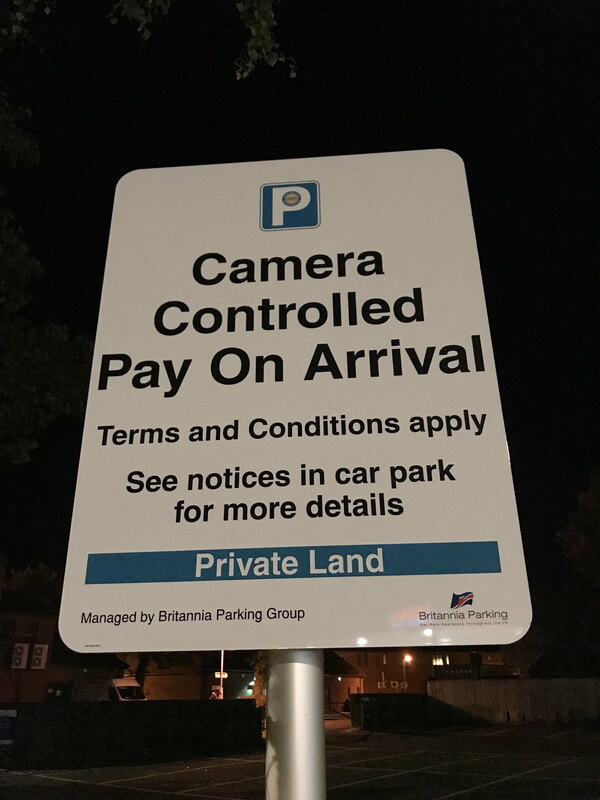 Your signs at the car park must tell drivers that you are using this technology and what you will use the data captured by ANPR cameras for. •	Having visited the site mentioned, it does not state on entry that you are using ANPR, nor does it state what you will use the data for. Photographic evidence provided. 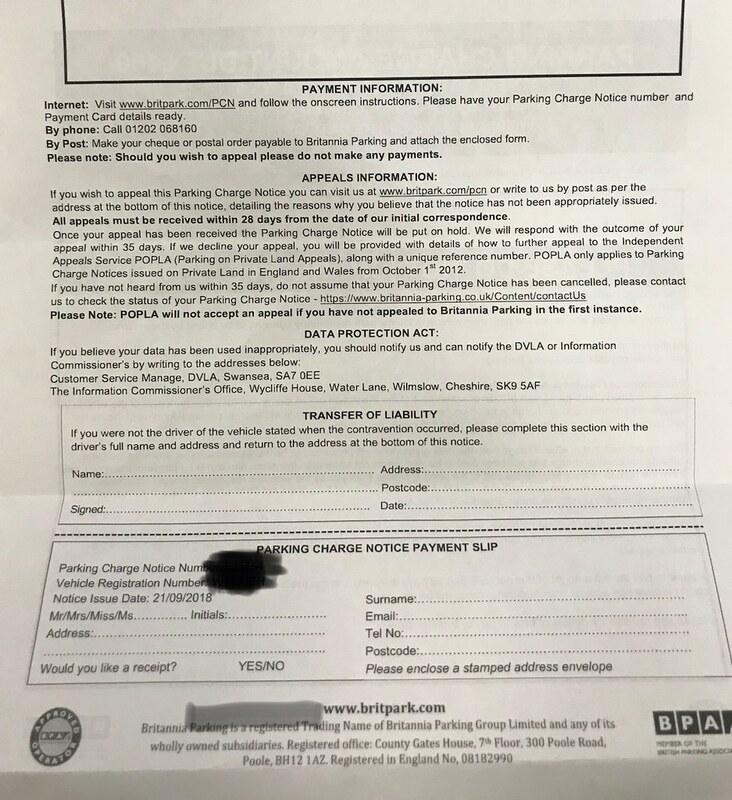 For this reason I look forward to receiving notification within 28 days that the Parking Charge Notice has been cancelled. "3. POFA 9. (2)(a) ……specify the relevant land on which it was parked. What on earth does that have to do with POFA? Nothing. Why on earth have you mentioned the RTA, then actually said nothing further baout it? Waffle.